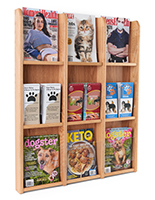 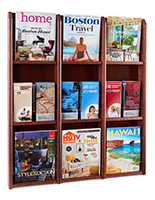 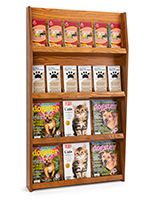 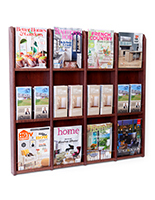 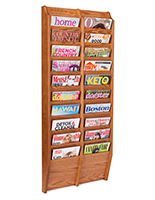 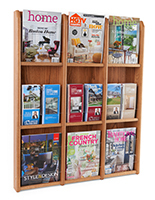 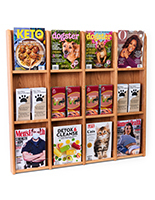 Wall Mount Brochure Rack - The total dimensions of this wall mount magazine holder are 40" wide x 37" high x 3" deep. 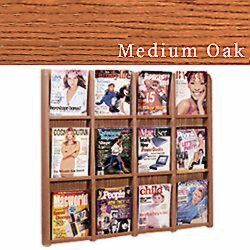 Constructed of a solid Medium Oak frame with acrylic front. 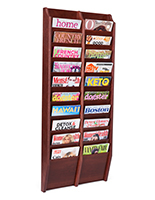 It holds 12 magazines or 24 brochures with the use of the plastic clip-on divider (12 included).